This was a female monarch butterfly and she laid an egg. The plant is commonly called a rush milkweed or desert milkweed. 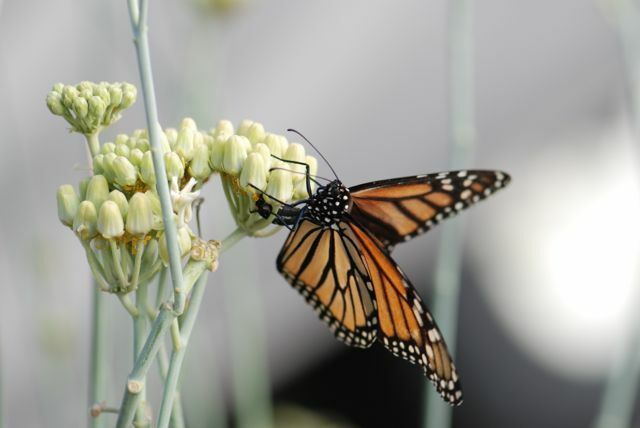 It is a favorite of both monarch and queen butterflies. If you have a minute, insect photographer Alex Wild has wonderful close up photographs of a monarch butterfly egg and caterpillar. Enjoy!